If you are one of those who love the news networks you can agree that most of what we see and hear is very little good and plenty of the bad and the ugly. Negativity and the worst of human traits are portrayed daily. The world needs its examples of leaders such as John C. Maxwell, Martin Luther King Jr., Zig Ziglar, Billy Graham and Ronald Reagan. 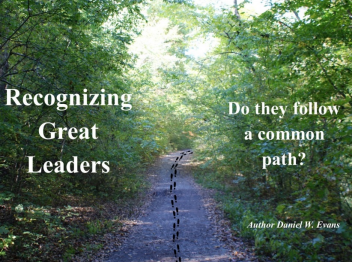 What makes these examples stand out and recognized as world class leaders? I want to address three things that I think makes individuals appear as giants in the crowd. The leader examples I mentioned are some of my favorite, but do not constitute an all-inclusive list. As John C. Maxwell says, “Leadership is influence.” Everyone influences either in a negative or positive way. More positive ways are what the world needs. Positive ways of influence offers peace, and unity, thus promoting growth individually and socially. I also believe there are some commonalities among these leaders to make them great. They follow certain principles while maintaining an attitude that strengthens their audience of followers. I will list the three things and support each of them with quotes from these leaders. If you study these three things and the quotes, you will be able to recognize great leaders all around you. Positive attitudes will produce positive influence and positive influence will promote positive change. We constantly need change to adapt to an ever changing society. The best way to change is through personal growth. Read these quotes that speak of attitude from each of the five leaders. Those with a positive attitude and sees life as a good song always hear the music. If there is none they make the music! John Maxwell – People may hear your words, but they feel your attitude. Martin Luther King Jr. – Love is the only force capable of transforming an enemy into a friend. Zig Ziglar – Your attitude, not your aptitude, will determine your altitude. Billy Graham – When wealth is lost, nothing is lost; when health is lost, something is lost; when character is lost, all is lost. Ronald Reagan – Life is one grand, sweet song, so start the music. There are certain principles that everyone must follow when the same results are expected. For example, when you desire better communication, listening as well as talking must be part of the conversation. Another is that physical exercise promotes good health. There are different ways to achieve results from these examples; however, the principle is the same. A good character is a must for a great leader. These quotes from each of the five leaders speak of principles to follow that will produce good character qualities. John Maxwell – As a leader, the first person I need to lead is me. The first person that I should try to change is me. Martin Luther King Jr. – Faith is taking the first step even when you don’t see the whole staircase. Zig Ziglar – Honesty and integrity are absolutely essential for success in life – all areas of life. The really good news is that anyone can develop both honesty and integrity. Billy Graham – God has given us two hands – one to receive with and the other to give with. We are not cisterns made for hoarding; we are channels made for sharing. Ronald Reagan – We can’t help everyone, but everyone can help someone. I have heard it said that the hardest thing to do is lead one’s self much less lead others. The best place to start is with self. However, do not think you can lead others well if you are not investing in leading yourself. To build and maintain a following takes skill that has been defined and refined through personal application. This in no way constitutes that you forget others. The best way to help others is to gain and maintain self-discipline. This process establishes and equips the best leader for them, which could be you. These quotes from the five leaders suggest what a leader must do to speak volumes to their followers. John Maxwell – A leader is one who knows the way, goes the way, and shows the way. Martin Luther King Jr. – A genuine leader is not a searcher for consensus but a molder of consensus. Zig Ziglar – When you encourage others, you in the process are encouraged because you’re making a commitment and difference in that person’s life. Encouragement really does make a difference. Billy Graham – Racial prejudice, anti-Semitism, or hatred of anyone with different beliefs has no place in the human mind or heart. Ronald Reagan – If we love our country, we should also love our countrymen. In a world that daily advertises catastrophe, chaos and division we need examples that will cause us to hold our heads high and wade through the world’s trouble. Consider ordering a copy of the book ‘A Commitment to Unleash Your Leader Potential’ and receive a GIFT. This gift is designed to help you tap into your potential, if you haven’t already, and be propelled to a new level of leadership and sensitivity in the Spirit in ONE DAY! A prerequisite is to order a copy of the book by clicking here and email the receipt to author@danielevans.org. We will then forward you information on how to receive your gift. With a background of construction, I am very familiar with foundations for building structures. As a minister, I am also familiar with spiritual foundations. The first being when God the Father, God the Son and God the Holy Spirit had a conversation and created a plan at the foundation of the world. Everything has a foundation. The foundation determines how well whatever you are building will not only remain, but continue to progress. Concerning leadership, let’s review its basis. The first foundation of leadership is with the Holy Spirit leading mankind into the Father’s will. The next level is the individual leading himself. On this level personal growth will determine how well the next level of the family will progress. No matter what example you use all levels of leadership progress from these three levels. God, the individual and the family determines the effectiveness of all other levels. This week I would like to discuss the family level from the perspective of parenting. I would like to reiterate what I discussed in another blog. My wife and I have a son with disabilities. We chose years ago to lead our family of three children with godly principles and to treat our son with disabilities as a normal child. That in itself was a slow process and took much effort from my wife and me. This is also a truth shared by many families even without children with physical, emotional or mental disabilities. I heard it said this way, “Every family has some type of dysfunction.” Whether this is true or not, the effort is always challenged. To our family, God has proven to be faithful, powerful and loving time and time again. When doctors stated that Hunter would not get any better, we believed God and did not change from following leadership principles and applying certain techniques. All I can say is that Hunter is far better with his behavior and other symptoms than with the prognosis doctors attempted to offer us. The result is in the pudding! You cannot argue with results. Leadership techniques, faith and prayer have tremendously helped our family. Prayer does change things! Our other two children are great parents. Our older son now operates one of the major segments of our family business. I am not insinuating that everything has been a bed of roses. However, I stand firm on this principle. Train a child in the way he should go and when he is old, he will not depart from it. Proper family leadership is the basis of community development, including the workplace. Of course, this cannot be obtained without following other principles. With this in mind, when families grow churches will grow. The community and workplaces will be entrenched with integrity, morality and a respectful love for each other. The greatest challenge for many parents today is to lead their children to listen to them instead of being influenced by their peers. Many times, peer pressure creates dysfunction in the home that leaves parents in a passive attitude. Parents must be active and proactive in their children’s lives applying good techniques in their parenting. This will greatly help children through those years of being easily influenced because of their own mental and emotional development. When individuals grow the reciprocal effect will be families and organizations growing. Solid foundations promote growth! The best way to add to the growth of a family or organization is to grow personally. This is my testimony concerning our son, our family, our church and our business. As a family, business and church leader, something you learn early on is that you cannot change others. When you attempt to change someone, you actually hinder growth by trying to be a Holy Spirit wannabe. The Holy Spirit is the only One that can change us and it has to take place from within. Of course, this is only accomplished with a willingness to be teachable and pliable. All we can do is set the example for others, even our children, and offer assistance when needed. Consider ordering a copy of the book ‘A Commitment to Unleash Your Leader Potential’ and be prepared for ‘A Day of Discovery.’ This day is designed with several FREE teleconferences to help walk participants through the five step process as outlined in the book. 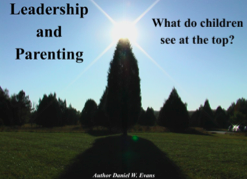 You could tap into your potential, if you haven’t already, and be propelled to a new level of parenting leadership in ONE DAY! A prerequisite is to order a copy of the book by clicking here and email the receipt to author@danielevans.org. We will then forward the access information for the audio recordings. HAPPY parenting!